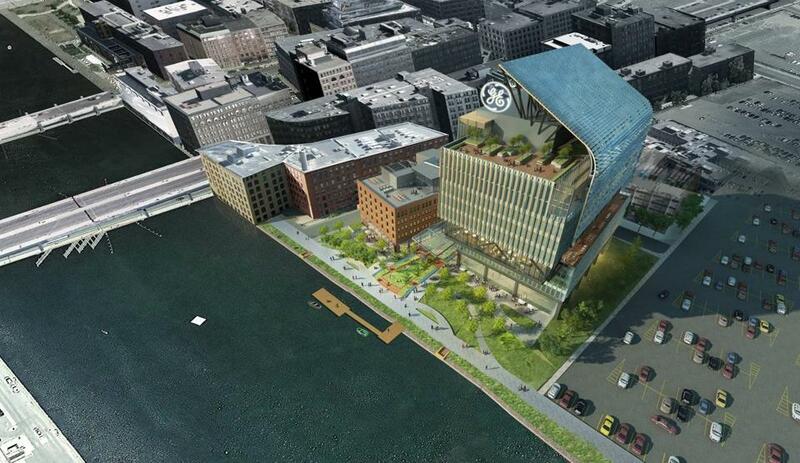 A rendering of the headquarters General Electric plans to build along Fort Point Channel. So let’s play this out since I know a lot of you are thinking it. What if General Electric Co. breaks itself up and doesn’t build its headquarters in Boston after all? How much would the state be out? What about the city? Together, they wooed GE with as much as $145 million in incentives — much to the chagrin of critics such as former city councilor and Boston mayoral candidate Tito Jackson. 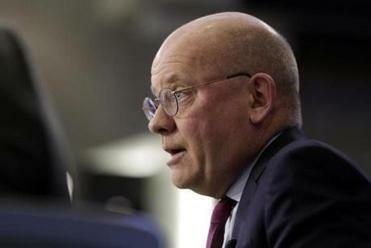 But little has gone right for GE since the August 2016 move, and CEO John Flannery on Tuesday said he is considering all options to boost GE’s lagging profits and stock price. If he does change course, well, the biggest casualty at the moment would be our ego, not our pocketbooks. Here’s why: Governor Charlie Baker didn’t write any blank checks to GE. Instead, the richest part of the package is real estate. The state spent about $60 million to purchase two old Necco buildings in the Fort Point Channel district and has set aside another $60 million for basic renovations and infrastructure improvements. Remediation of the five-story buildings began last January, and GE is picking up the tab for the rest of the project. As the new chief executive, John Flannery is expected to do something about the company’s lagging stock price. And soon. If GE backs out, the worst-case scenario is that the state owns two renovated buildings in Fort Point Channel that it will need to sell or lease. As long as the economy stays strong and South Boston Waterfront real estate remains hot, the state won’t be crying poor. In fact, it might all still work out. We all hear that Amazon has been on the hunt for up to a million square feet in the area. But we’re really getting ahead of ourselves. I remain a big proponent of the taxpayer support for the company’s relocation from Connecticut because it has helped cement our reputation as a place to do business. My prediction is that GE will move into the renovated Necco buildings when they are done in 2019. Whether the company will move on to the second phase to build a futuristic 12-story monument to itself remains an open question, especially if GE breaks up and becomes a decidedly smaller company. That decision reportedly might come in the spring as GE figures out if it is too big to succeed. A flashy new headquarters would be hard to justify to shareholders from a company that was the Dow Jones average’s worst performing stock in 2017 — down nearly 45 percent when the index was up 20 percent. Putting the brakes on the second phase was one of Flannery’s first major decisions when he took the reins last August. He pushed back the opening of the new building two years, until mid-2021. So what would the worst-case scenario look like for the city of Boston? Like the governor, Mayor Marty Walsh did not write any checks, instead promising property tax breaks. The breaks apply only to the new 12-story building, and they are tied to the number of jobs created. If GE creates 800 jobs at its headquarters, it will enjoy $25 million in property tax breaks over 20 years. A clawback provision has been built in so that if GE creates, for example, half the number of jobs, the company will only get half the tax benefit. When the GE deal was unveiled, Walsh pledged to secure up to $100 million to repair the Old Northern Avenue bridge. That’s the century-old swing bridge the city had to shut in 2014, deeming it structurally unsafe to even carry pedestrians. A year later, the Coast Guard asked the city to remove or repair the rusty bridge immediately out of concern it might collapse — even a major snowstorm might be too much. It’s 2018, we’ve had snow, and the bridge hasn’t fallen down yet. Officials tell me the city will begin a public process on the future of the bridge in the spring and has hired an architecture and engineering firm to help in that effort. I hope Walsh remains committed to rebuilding the bridge no matter what happens to the GE headquarters. Don’t get me wrong. I’m as anxious as anyone about the future of GE after Flannery dropped another bombshell of bad news on Tuesday. It was a big oops — oh, by the way, the company needs to spend $15 billion to fix its long-term care insurance business. 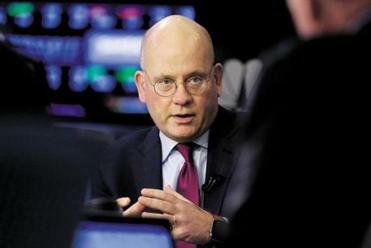 This after leaving the investors last fall with the impression that he had conducted a thorough review of the company and had a game plan to make GE more profitable. A healthy GE means more jobs and more philanthropy from a company that is already donating $50 million locally, spread across Boston public schools, community health centers, and manufacturing training programs around the state. Perhaps lost in the hoopla of bringing GE to town is that big companies can have big problems. Just as Boston basked in a crop of good headlines when GE chose us, we’ve got to brace ourselves for the bad news, too. It comes with the territory of having one of the world’s most high-profile companies call us home. 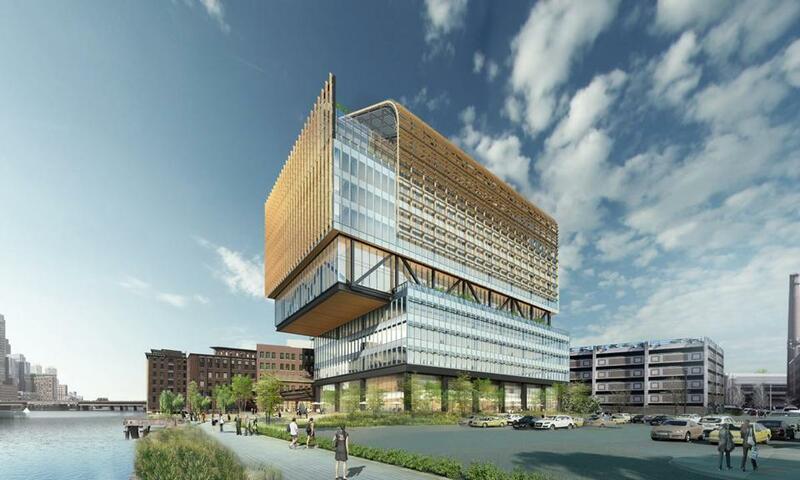 General Electric’s new headquarters is in the company’s second phase of construction in Boston.